I provide personal coaching for endurance sports emphasizing communication between coach and athlete to achieve optimal results. For local clients, I offer sweat testing and MOXY testing to help personalize training as much as possible. 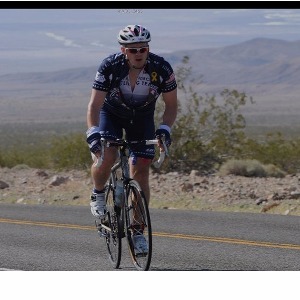 I have competed in over 100 endurance events in running, cycling and triathlon. I'm retired Air Force and I have an M.S. in Exercise Physiology. I'm USAT level 1 certified, USAC Level 2 certified, a USAC Certified Power Based Training coach, and I'm an ACSM certified personal trainer. I believe in science backed, data driven coaching and know that as each person is unique, there is definitely an art to coaching as well. I've become Utah's only PowerTap preferred dealer, only sweat test provider and only MOXY Charter Certified Training Center, all to be a leading-edge coach in cycling and triathlon. I have experience in every distance of triathlon, from the sprint to the Ironman 140.6, as well as running up through the marathon, and cycling up to 200+ mile road races and week-long rides. Success. Coach Curtis Scrugham has been notified of your message. To hire Curtis Scrugham as your coach, select the coaching service that is right for you.